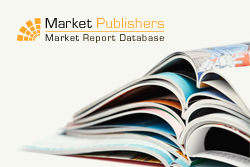 New research study “Cancer Vaccine Partnering Agreements” worked out by CurrentPartnering has been recently published by Market Publishers Ltd. The report finds that bigpharma companies play a minor role in signing deals involving cancer vaccine assets, although interest has been growing in recent years as indicated by the recent acquisition of cancer vaccine company assets. Cancer vaccine partnering has significantly increased in frequency since 2007, to a peak in 2010, when over 50 cancer vaccine partnering deals were recorded. Cancer vaccine partnering can be sub-divided by the deal components attributable to the deal, for example co-promotion, licensing, distribution, supply. Collaborative R&D, development and licensing deals are consistently more prominent than co-promote deals. Bigpharma companies play a minor role in signing deals involving cancer vaccine assets, although interest has been growing in recent years as indicated by the recent acquisition of cancer vaccine company assets. New research study “Cancer Vaccine Partnering Agreements” worked out by CurrentPartnering has been recently published by Market Publishers Ltd. The report is aimed at providing an in-depth understanding and unprecedented access to cancer vaccine partnering deals and agreements entered into by the leading healthcare companies worldwide, as well as explaining how and why these companies enter these deals. coverage of adjuvant and drug delivery deals and alliances since 2007. The available deals are listed by: company A-Z; headline value; stage of development at signing; deal component type; specific oncology therapy target. More new studies by the publisher can be found at CurrentPartnering page.